Our food comes in small ¾ inch nuggets, which makes it easy to thaw and feed. There is no cutting, mashing, or any other work required to feed Steve’s Real Food. Just pour into a bowl, cover, thaw (not required), and feed. No raw food on the market is easier to feed than Steve’s. Our frozen products are simply poured and served, as easy as a kibble. Our Freeze-dry products are almost as easy, as you just add water. All of our diets are 100% balanced for all life stages, so you know your pet is receiving all the nutrition they need. You can make your life simple knowing that Steve’s Real Food is 100% complete and balanced. 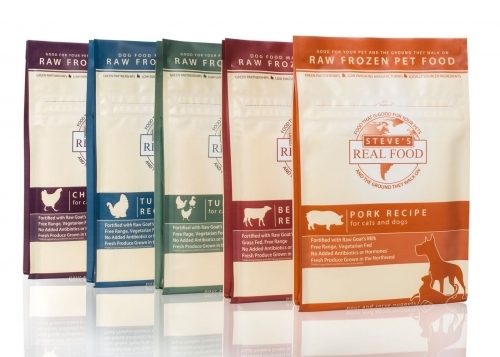 Our treats are not just yummy, but add extra raw nutrition to your pet’s diet.